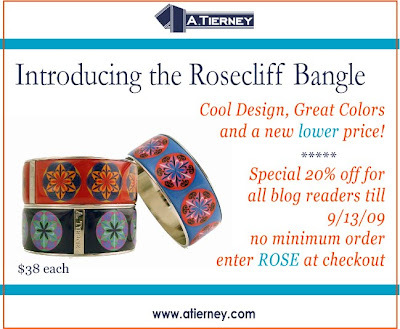 A. Tierney has the cutest Rosecliff Bangles for $38...well that's before you take 20% off just for being a Join the Gossip reader =) These beautiful accessories are timeless, great for any season, and perfect for a casual or dressy outfit. To see how you can order yourself a bangle, see below. In addition to these fabulous bangles, the site also offers goods like headbands, pendants, and watches. I love the assortment of preppy products! Be sure to stop by the online shop whenever you get a chance. My passion has always been writing, notice I use been, indicating past tense. Lately, I have not been writing at all really. When I held a professional writing position the creative juices flowed. However, now that I my career path has ventured off course and I am not writing as I would like to, things have dried up so to speak…playing that metaphor out. I miss being around creative journalistic ideas and peers. That cannot stop me from what I love to do though, writing. A year ago I was posting blogs daily. It was such a happy time for me. I need to, and WILL, get back to that. Monday night I had the pleasure of attending a Beverly Hills birthday party with Elana, Managing Editor of Closet Mouse and the creator of Good Girl Gone Shopping. The party was in honor of Michael, the creative genius behind Closet Mouse. We had a fantastic time at the pad overlooking other 90210 homes! This was my first time meeting the super-friendly Michael, who Elana openly praises for his talents, and being around the two really inspired me to start writing again. I joined Closet Mouse (need to update my profile ASAP!) and I look forward to sharing my stories in this marketplace of fashion. It’s a great outlet to get your stories out there and I am very excited to do so. I encourage all of you to get involved too, as many of you are talented members of the fashion world! With that being said, I hope that you enjoy my upcoming posts, as I am excited to start writing them again. 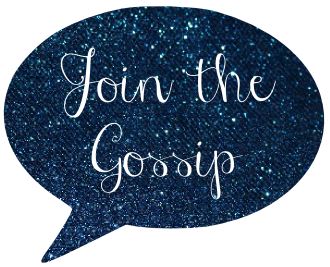 I am a sucker for sparkle, and oh how does the latest giveaway from Kag over at Monograms and Martinis in Manhattan/Boston! This cool blogger has got the cutest Grayson Saige goodies up for grabs. Check out these adorable starfish! 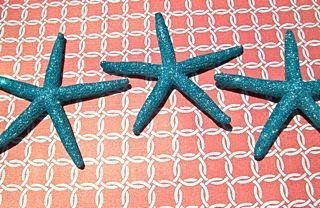 Head over to the post here to enter for your chance to win these darling starfish. I am finally catching up with Gossip Girl. That means when season three starts, I'll actually be able to watch instead of waiting for the DVD to come out months later! I am addicted for sure. Last week I stayed up 'til 2 a.m. to finish watching DVD 4 (the one where Chuck's dad dies, Serena and Dan find out they have a shared "dead" sibling, and so on). The next morning when I had to get up for work I certainly paid for my foolish addiction to this teen drama. This is my question about the show--the only thing that really bothers me--if Vanessa works to survive, how does she have so many damn outfits?! I know it's a show and all, and that characters can't wear the same clothing, but really? She's a teenager living in NY, she would not have enough money for rent and an extensive wardrobe! Let's get a little more realistic stylists.